Highest-quality industrial painting specialists in the industry. 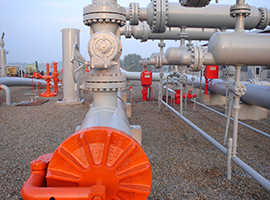 CECO Pipeline Services has one of the most respected Industrial Painting groups in the industry. Our dedicated crews are experts in achieving the desired profile and applying the proper paint for each application. Our mission is to make sure you get quality results that will last in any conditions. CECO Pipeline Services is prepared to service all your painting needs on new construction, existing facilities, engines, compressors, buildings, and all above-ground piping. We can apply any type of paint that you need from low-temperature piping and LNG facilities to high-temperature exhaust systems. Don't accept a bad paint job. Contact our Division Manager today. We can provide an extensive resume of happy customers.